The official investigation into the CDM Smith affair may be flawed. What's worse, hundreds of NHAI consultants may be using the same modus operandi to defraud the exchequer. New Delhi/Mumbai: The Modi government’s claim of zero tolerance for corruption is being severely tested by numerous cases of fraudulent service tax refunds, running potentially into hundreds of crores of rupees, across consultancy contracts executed by the National Highways Authority of India (NHAI). Even the official investigation into the most publicly known case in this regard – the CDM Smith affair, in which improper service tax (ST) refunds were funneled back as bribes to NHAI officials in exchange for winning contracts – appears to suffer from holes that could prevent a thorough probe. 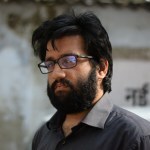 A letter sent to the Central Vigilance Commission (CVC) and the prime minister’s office (PMO) by a senior tax intelligence officer associated with the case since 2015 – a copy of which The Wire has reviewed – has slammed the CBI’s investigation as flawed and designed to let the real culprits off the hook. 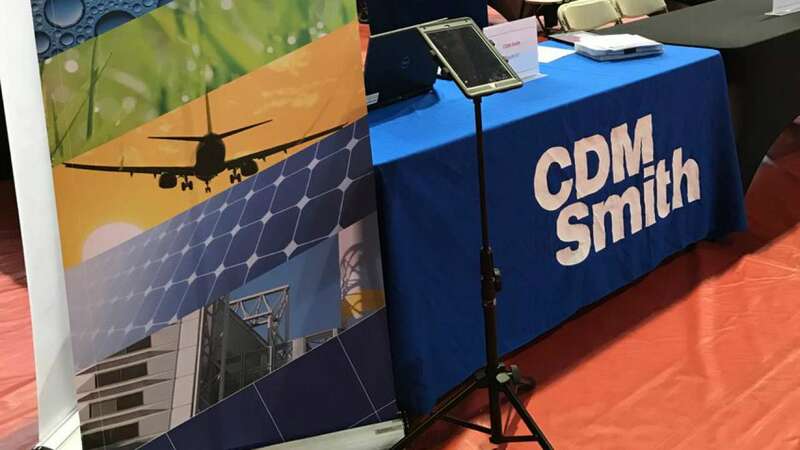 However, the CDM Smith case, in which action was first taken by the US Department of Justice in mid-2017 for offences committed by the company in India, doesn’t appear to be an isolated incident. The Wire has learned that over the last three years, Indian tax intelligence officers have investigated and filed offence reports in at least five major cases. The modus operandi detected in these cases is believed to have been deployed by hundreds of other consultants, ‘independent engineers’ and contractors across the country. Two big NHAI consultants that have been investigated in the last year for service tax evasion or fraudulent service tax reimbursements include the Louis Berger Group, the URS and Scott Wilson Groups, the last of which is a major contractor for the US government. However, most of these probes have been hastily closed by tax intelligence agencies under less-than-ideal circumstances, or not taken to their logical conclusions. In some of these cases – official documentation indicates – the improper reimbursement of service tax payments are suspected to be part of an institutionalised method of generating cash, which is then funneled towards bribing government officials in exchange for winning contracts or allotment of other work. According to internal documentation put together by the Directorate General of Central Excise Intelligence (DGCEI), there is enough commonality in the way various NHAI consultants or ‘independent engineers’ wrongfully avail of Cenvat credit to suggest that this is almost a standard method of defrauding the exchequer. The DGCEI is the apex intelligence organisation functioning under the Central Board of Excise and Customs (CBEC). After the passage of the Goods and Services Tax (GST) regime, it has been renamed as the Directorate General of Goods and Services Tax Intelligence (DGSTI). “Prime facie, it seems there is an implication of huge amount as there are almost hundred consulting engineering firms having contracts with M/s NHAI, who may be adopting the aforementioned modus operandi. It is therefore requested that the matter be taken up with M/s NHAI on the above points, if deemed fit,” an internal DGSTI note discussing the URS India case, dated August 2017 and signed by principal commissioner Ashok Kumar Mehta, states. Sources told The Wire that this matter hasn’t been taken up seriously in either the DGSTI or the NHAI, as reported below. In fact, evidence shows that the tax intelligence agency may have not followed up on cases that deserved further investigation or an inter-agency probe. A detailed questionnaire has been sent to NHAI Chairman Deepak Kumar’s office and the DGSTI and this story will be updated if and when a response is received. Alleged corruption at the highest levels of the National Highways Authority and the DGCEI first came to public attention in July 2017, when American infrastructure contractor CDM Smith admitted to the US Department of Justice that it had paid bribes of nearly $1.2 million (Rs 7.5 crore) to government officials to win contracts and avoid service tax payments. After repeated calls for a probe, a special investigation team (SIT) was set up by the Central Vigilance Commission (CVC) a few months later. The SIT then submitted a scathing report to the Central Bureau of Investigation (CBI) in late 2017, after which an FIR was registered in February 2018. While the broad details of the SIT’s conclusions have been reported, sources within the DGCEI and CVC – and letters written to the PMO by tax intelligence officers associated with the case – point towards numerous flaws in the case filed by the CBI. These flaws, they claim, are symptomatic of a larger reluctance within tax intelligence agencies and the National Highways Authority to investigate and root-out this deceptive business practice. The CBI’s FIR – which names unknown officials of NHAI, CDM Smith India, CDM Smith Inc US and several officials of CDN Smith India – details three methods by which payments were made to NHAI officials through a circuitous series of transactions involving fake sub-contractors. The first involves passing off bribery payments as “allowable business expenditure” on their income tax returns. The second, as pointed out above, involves the improper release of service tax reimbursement on the basis of non-project specific challans. The last and third method involves paying key personnel or sub-contractors at a much lower rate than what was approved or claimed by the NHAI, with the difference in amount being illegally withdrawn in connivance with highways officials. However, DGCEI officials and informers associated with the CDM Smith case – in conversations with The Wire – have slammed what they describe as gaping holes in the CBI’s FIR. In particular, one letter sent to the CVC and the PMO, written by a senior tax intelligence officer who investigated CDM Smith as far back as 2015, has described the FIR as a “clear attempt to dilute the case and bail-out the main offenders”. According to individuals with knowledge of the matter, the problem starts with not properly acknowledging the CVC-SIT report. This is crucial, because the CBI appears to place no blame at the doorstep of the DGCEI or its officers, even though fudging of service tax collections appears to have played a key role in circulating bribe money. This omission is also curious because the DGCEI had in fact initiated a service tax probe into CDM Smith as far back as July 2015 – two years before the company admitted to the US Department of Justice that it had paid nearly $1.2 million in bribes to NHAI officials to secure contracts. This probe, however, was closed abruptly and the officers associated with it hastily transferred. The Wire has learned that the Directorate General of Vigilance, the body within the CBEC that interfaces with the CVC, has begun initial investigation into whether the 2015 investigation by the DGCEI was influenced or manipulated into being closed hastily. The CVC’s SIT report has taken clear notice of the 2015 investigation, not only endorsing its broad implications but also coming to the conclusion that the DGCEI may have bungled the service tax probe. The tax officer’s letter to the PMO also draws attention to the fact that the role that the DGCEI may have played in the CDM Smith affair seems completely absent in the CBI’s case. “The FIR does mention service tax irregularity in detail but for that also it blames NHAI. It is true that NHAI colluded with DGCEI but in court NHAI people will state that they are not Tax Department and while CBI left the main party (DGCEI) how can the minor party (NHAI) can be charged. So the case is doomed to fail,” the letter, written by tax intelligence officer mentioned above, notes. The letter – which is endorsed by the informant in the CDN Smith case, on whose intelligence a service tax probe was launched in 2015 – also alleges that the DGCEI’s senior leadership improperly buried and closed the service tax evasion probe. There are numerous other problems with the CBI’s case. Sources close to the initial DGCEI probe also pointed out that the CBI has under-estimated the total service tax invoice value and failed to record the existence of a third entity involved in the scam (CDM Smith Inc India, a joint venture of CDM Smith India Pvt Ltd and CDM Smith Inc), whose balance sheets are crucial to understanding the flow of illicit money. Perhaps most importantly, the tax officer’s letter points out that the CBI appears to have left out the names of CDM Smith India’s top management. While it mentions one K.P. Gopakumar, who was director (finance) of CDN Smith India, it leaves out the country manager and other crucial company officials. The modus operandi used in the CDM Smith case is suspected to be a standard framework (but often tweaked in numerous ways) used by other NHAI consultants. How does it work? Documentation from the DGCEI probe in 2015 – and case notes from other investigations since, accessed by The Wire – lists out two primary ways. The first is relatively benign as it primarily involves defrauding the NHAI. After the appointment of ‘independent engineers’ (IE) for a specific project, they are required to send a list of individual consultants they may employ to the NHAI for approval. The highways body then calls the consultants for interviews and selects them. The selected candidates are appointed at a remuneration fixed by NHAI – depending on how the consultants are employed by the IE, they may or may not be liable for service tax. Nevertheless, in both cases, what generally happens is that IEs get full reimbursement of remuneration and out-of-pocket expenses from the NHAI. However, only 40% to 50% of the payment received from NHAI on behalf of individual consultants is actually passed on; the rest is pocketed by the IEs. In at least some of these cases, the sub-contractors hired by the IE are bogus or fake, in which case 100% of the remuneration goes straight into the pockets of the IEs. The second method involves fraudulent reimbursement of service tax payments. The contracts that NHAI signs with IEs are exclusive of service tax, meaning that the contractors are required to pay service tax. However, the highways body reimburses this on “project-specific proof of payment of service tax”. In this regard, there are a multitude of methods that consultants and contractors adopt to generate cash and get around the system. In some cases, the e-payment service tax challans that are submitted to the NHAI for reimbursement have nothing to do with contracts that were carried out for the highways body. They are instead challans that pertain to contracts carried out for other government bodies. In other cases, some consultants or IEs use the same service tax payment challans for multiple NHAI projects. “Some parties rotate cumulative service tax payment challans from one Project Implementation Unit of NHAI to another, some bifurcate the payment of service tax in cash challan and cenvat Credit, both type of reimbursement is not project specific and are wrong,” case notes from the DGCEI probe into the CDM Smith investigation say. This method of fraud is more insidious, sources say, because it more often than not involves the active connivance of the NHAI or government officials. After all, it is the NHAI that permits the release of service tax refunds even though the challans submitted are either wrong or improper. In both cases, however, the main aim “is generation of cash for bribery, which is not paid from anybody’s pocket but is the evaded service tax amount, for which a service tax invoice would have to be generated/manoeuvred”, according to one former DGCEI officer.